Metadata associated with the Riak KV collectd Configuration can be found here. The relevant code for the cURL-JSON plugin can be found here. 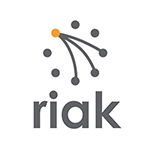 Riak KV is a distributed NoSQL database with a key/value design and advanced local and multi-cluster replication that guarantees reads and writes even in the event of hardware failures or network partitions. This plugin is included with SignalFx’s collectdpackage. Download SignalFx’s sample configuration file for this plugin. Using the example configuration file 10-riak.conf as a guide, provide values for the configuration options listed below that make sense for your environment and allow you to connect to the Riak KV instance to be monitored. Replication is part of the Riak KV enterprise package. Unless this feature is enabled, all the metrics available at ../riak-repl/stats will be empty. For general reference on how to monitor Riak performance, see RiakStats andMonitoring. Throughput for Riak KV can be measured in a few different ways. PUTs and GETs are the most common type of requests. These metrics can be gathered for nodes as well as vNodes. Riak Search throughput can be measured separately in terms of number of documents indexed and queries performed. If using Search, it’s a good idea to keep an eye on these numbers since running queries can heavily tax system resources. 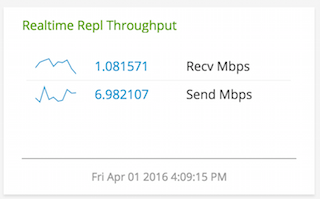 Latency metrics are useful to determine if Riak is slowing down requests from applications. Riak should respond to PUTs and GETs very quickly - single digit milliseconds - otherwise applications start to suffer. If there is a serious issue with Riak, this is most likely the first indicator that something is going wrong. Keeping an eye on the 95/99 percentile metrics are also useful to uncover issues unseen in the mean latency times. General Riak Health can be determined using a few metrics available from the stats URL. Here we show Read Repairs which show how healthy the data is in the custer. If repairs increase significantly this could indicate nodes going offline or vnode data missing. Some production workloads require replicating all data from one Riak cluster to another Riak cluster (often in another datacenter or Availability Zone). This would be useful in the event of the loss of one cluster or other distributed workloads. Each node in each cluster can participate in replication. 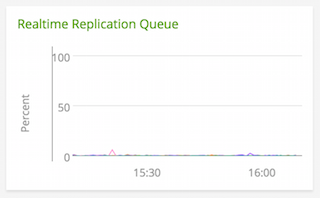 There is a local queue on each Riak node that should be monitored to ensure it is not filling up. This is not an exhaustive list of metrics, there are dozens of metrics that are useful to keep an eye on regularly. In addition to this plugin, collectd can measure CPU, memory, disk IO, and network all of which are relevant to maintaining a healthy cluster. There are nearly 400 metrics that can be sent to SignalFx using curl. The configurations here include some commonly used stats. The exhaustive list can be obtained by curling any Riak KV node.